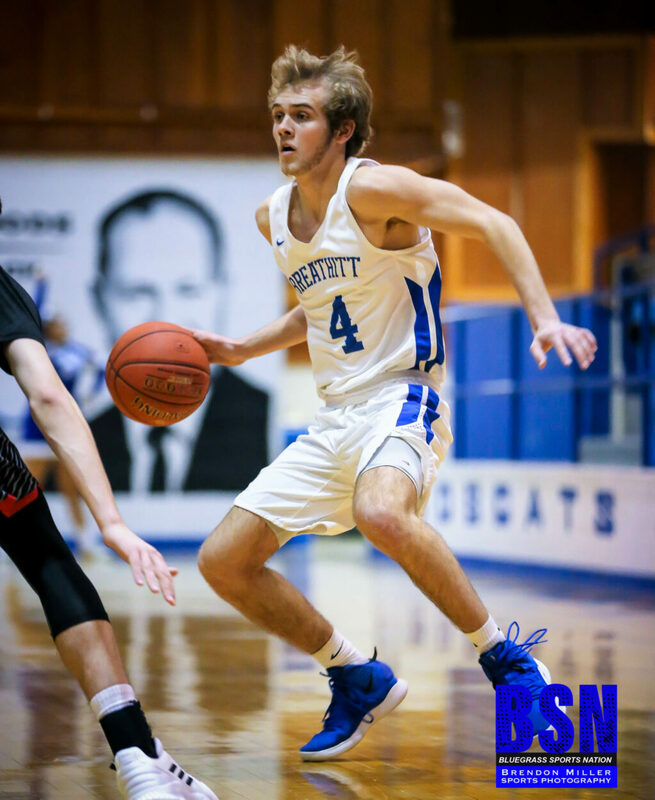 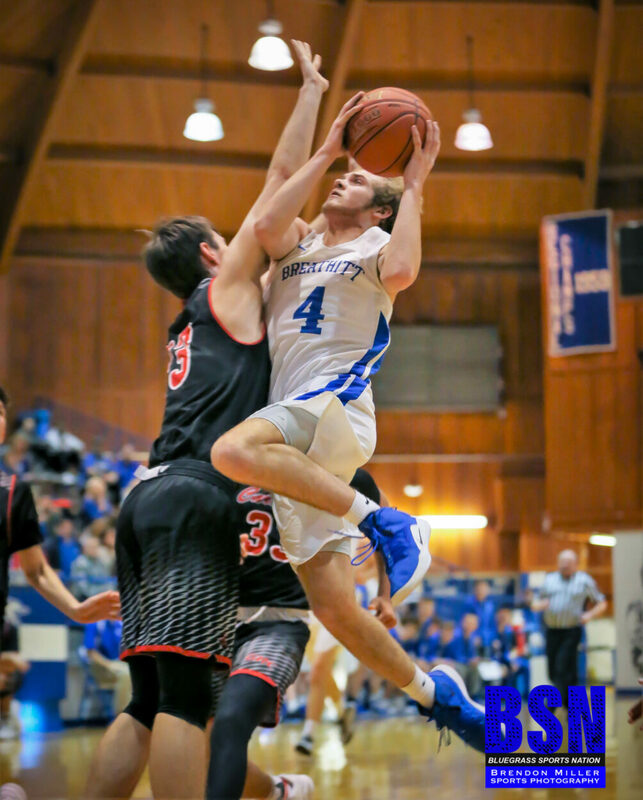 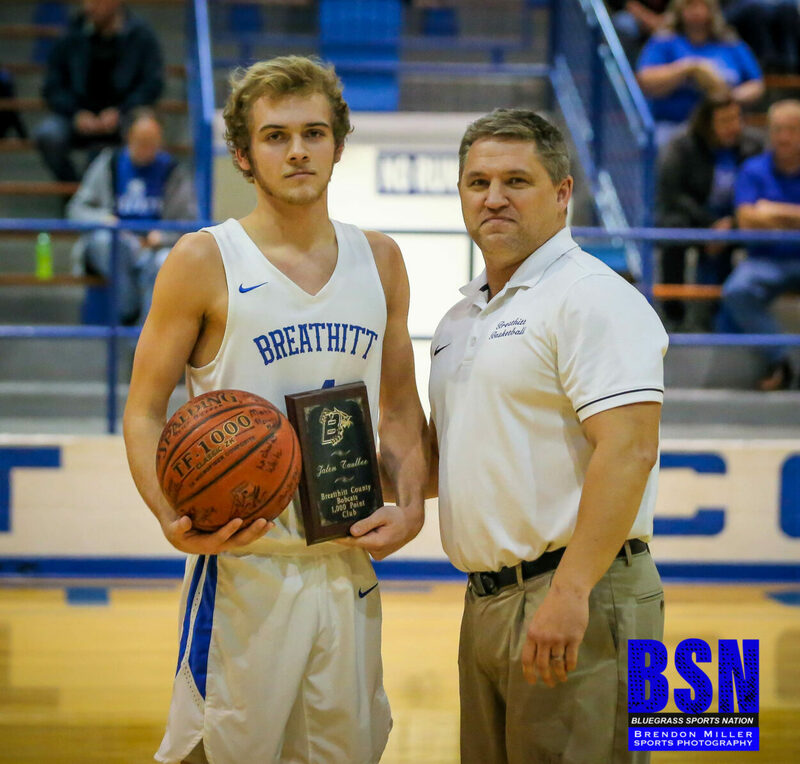 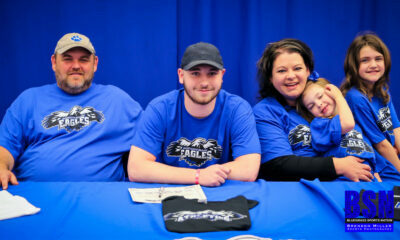 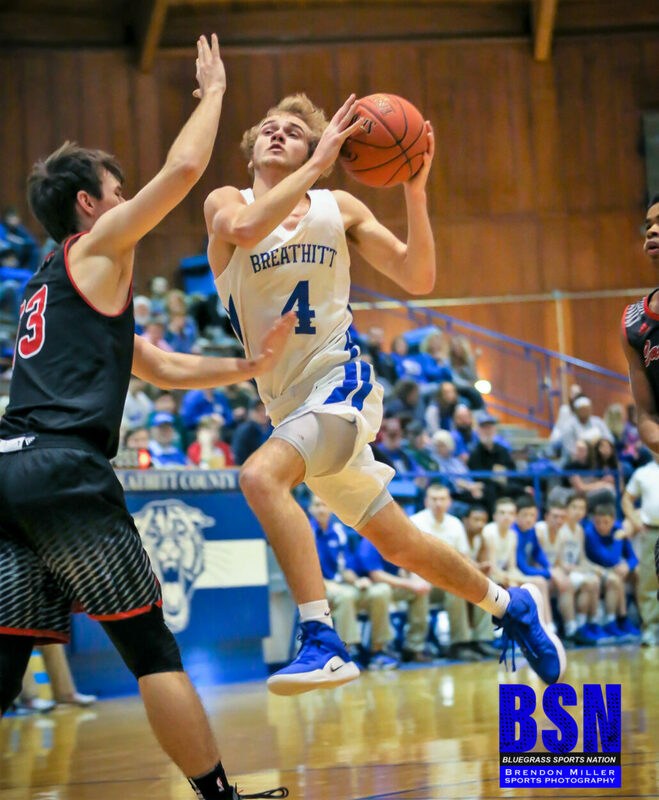 Breathitt Senior Point Guard Jalen Taulbee is a 1,000 point scorer at the storied BHS program. 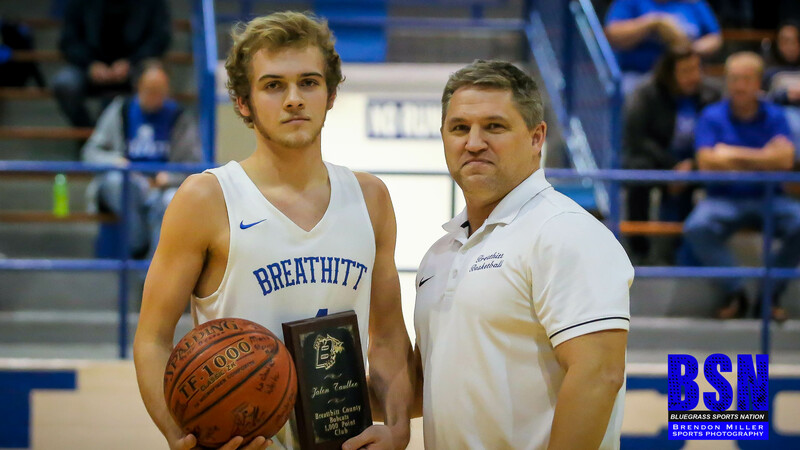 The three year starter was awarded a plaque and a ball signed by his teammates to commemorate the milestone on Saturday prior to the Bobcats taking on George Rogers Clark. 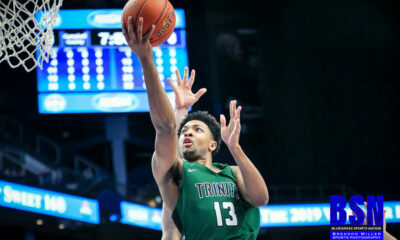 Congratulations to Jalen!!!! 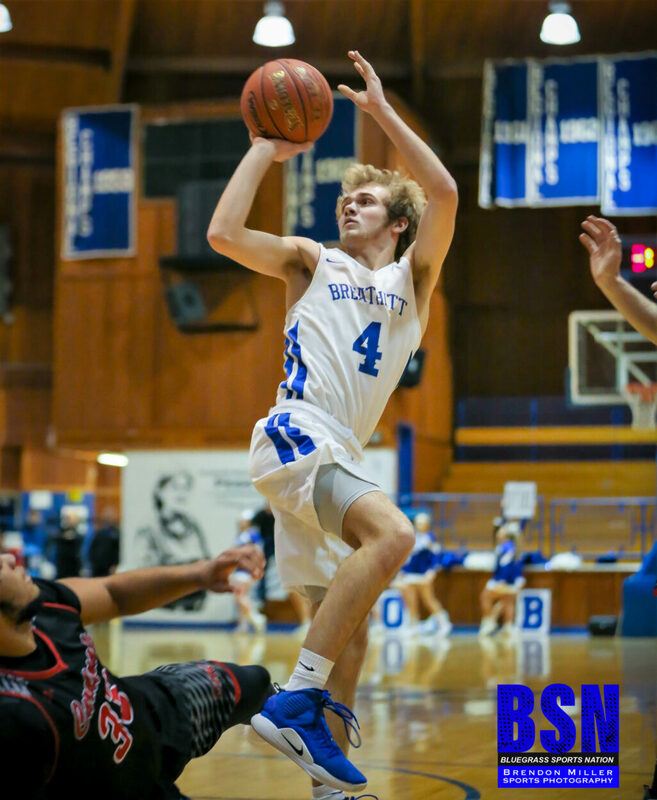 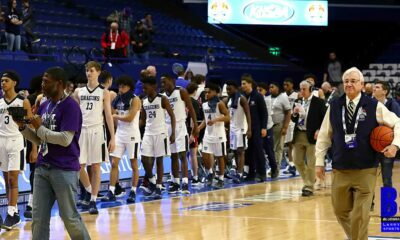 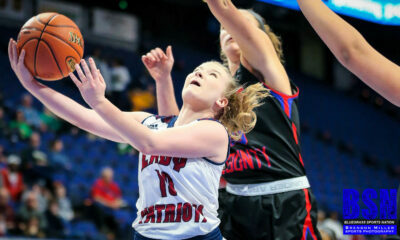 Full shot of Jalen and Coach Noble below along with a couple of pics of Jalen in action yesterday agains GRC!